This guide explains how to set up an FTP account in the CyberDuck FTP client. We assume that you have already installed CyberDuck on your Mac, and that you have not yet set up any accounts. CyberDuck is a free FTP client that can be downloaded here, if you have not installed it already. NOTE: Here, we will show you how to set up CyberDuck on the Mac, but the application can also be used on a Windows PC. Icons may look different, but the procedure will be exactly the same, so this guide can also be used for the setup on a PC. Press the "New connection" button. Enter the server address, where your FTP account is located. You should have received this information by email when ordering your web hosting solution with us. 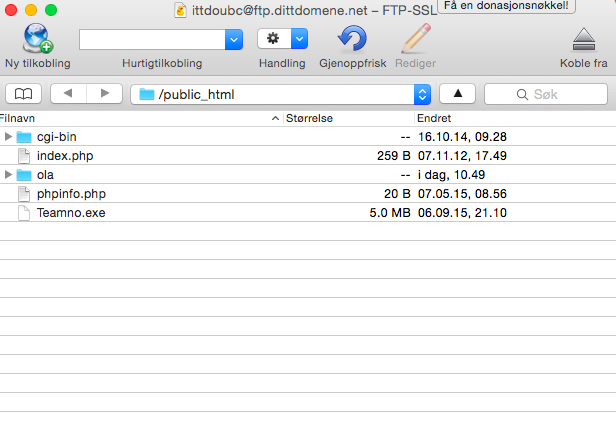 On our servers, this address will always be ftp.dittdomene.net, where dittdomene.net must be exchanged with your domain. If your domain is not yet registered/transferred to us, you can use a temporary address cpanelX.proisp.no, where the X is the number of the server on which your FTP account is located. Enter port number 21 for "Port"
Enter your user name. You should have received this information when ordering your web hosting solution with us. Enter the password for the account. 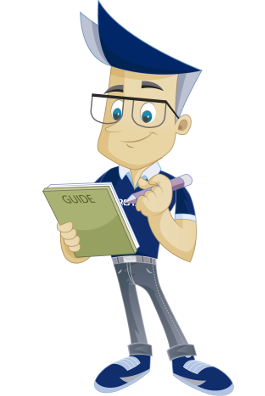 You should have received this information when ordering your web hosting solution with us. Enter public_html for "Path". The path will define which folder you start out in when connecting, and because all of the .php and .html files and the like must be placed in this folder on our servers, we define it here. The below window will now be displayed. This will appear because the server supports SSL, but it is not activated as a default in the application. To continue without SSL, choose "Continue"; to use SSL, choose "Change". A window warning of the certificate will appear. Click "Continue". You are now connected, and you will see the contents of the "public_html" folder on the server. 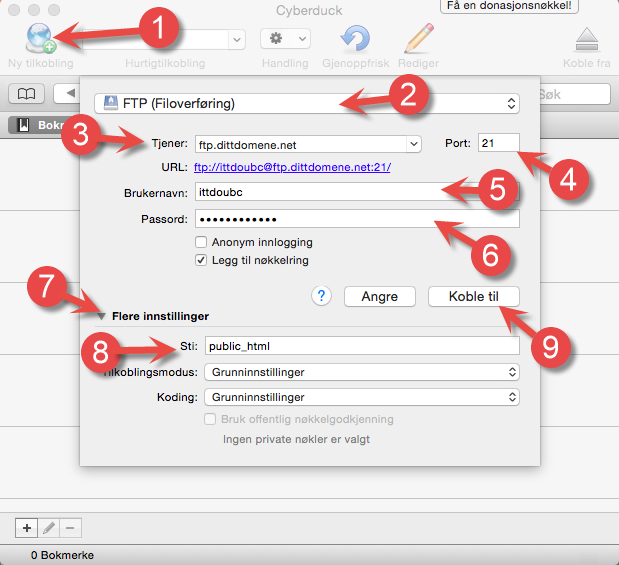 We have now covered the steps required for setting up an FTP account in CyberDuck for Mac.